Over the last few weeks, we’ve been talking with Basat Khalifa, president of DuraFast Label Company, about the Afinia L501 color label printer with Duo Ink Technology. He’s told us about this label printer’s ability to print with both pigment and dye-based inks. Today, we want to know how the Afinia L501 compares to one of its pigment-based inkjet label printer competitors, the Primera LX2000. A: Primera Technology introduced the LX2000 in mid-2015. At the time, it was a game changer. Certainly, other pigment-based color label printers existed for printing GHS chemical and industrial labels, but they tended to have lower print resolutions, such as in the 720dpi range. The LX2000 came along with its 4800dpi print resolution, which meant the printed labels were professional enough for consumer-facing applications. 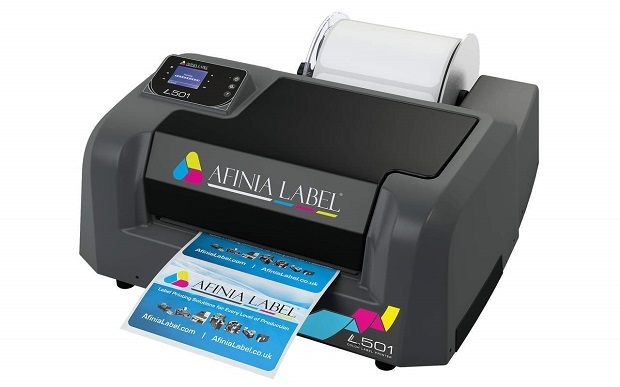 Q: Is it a dual-purpose label printer then — like the Afinia L501? A: In a sense, yes, but only with pigment inks. Since the LX2000 uses durable pigment inks and both paper and polypropylene label stock, it can be used for a wide range of consumer applications. Many of our customers use the Primera LX2000 to print high resolution essential oil labels, shampoo and body wash labels, and food labels that are likely to be exposed to moisture or extreme temperature changes. Meanwhile, they’re also able to print durable high resolution barcodes, retail tags, carton labels, and GHS-BS5609 chemical labels that can withstand even the harshest of environmental conditions. Q: What’s the advantage of adding dye-based inks as the Afinia L501 does? A: Dye-based inks are much more vibrant with vivid, bold colors while pigment inks tend to be muted in color, but extremely durable. With the exception of products where the labels will be exposed to UV light, water, chemicals, and oils, dye-based inks are generally considered the gold standard for printing “prime” labels. Q: If someone were interested strictly in industrial label printer with pigment inks, how do the two compare? A: The Afinia L501 and the Primera LX2000 both use HP Thermal Pigment Inkjet technology; however, the Afinia L501 uses a newer version. Both have similar print speeds and print quality since they use the same HP print engine. However, the L501 has a lower operating cost due to its lower ink cost. For example, when you purchase a replacement print head for the LX2000, it only comes with a starter set of inks, which is just enough to prime the print head. Therefore, you need to purchase an additional set of inks. However, the L501’s print head ships with a complete set of inks. If you where to print 3,000 or more labels per month, the ink cost savings would probably cover the cost of the printer. Q: Sounds like for speed and print resolution, the LX2000 has the advantage? A: Since these two printers use the same HP pigment inkjet print engine, the print speed and print quality are very similar. You will not really notice any difference because of this. Q: How can someone figure out how much they would spend in ink using either label printer? A: We can calculate that for them! All they need to do is email us their label design file and we will print the label on both the Afinia L501 Dye and L501 Pigment and the Primera LX2000 at our office. When we print the samples, we can actually determine the exact amount of ink consumed to print the labels – therefore giving you the true cost of printing the labels. Since you will use the same type of labels on the LX2000 and L501, the only variable cost is the amount of ink used and the ink cost per label. Once you have the ink cost per label and how many labels you intend to print each month, you will know how much money you will save with the L501 versus the LX2000 each month. We’ll send the printed labels and the calculations to the customer so they can see the quality of the printed labels and make the best decision based on cost and print quality.